City Eye launched Southampton Film Week 2018 with community at the heart and a celebration of new filmmaking and emerging talent to herald our future programme of training and support for filmmakers and digital artists at Studio 144. On Friday 9th November, participants from the Get Started in Film course with the Prince's Trust introduced and discussed their films and experience on this project. Following this event, NST Laboratory's Ollie Bruce showcased his new work Solos: Shakespeare in Southampton - a short collection of Shakespeare's most famous monologues adapted to film, all of which have been performed and recorded in various locations within Southampton city centre. On Tuesday 13th November, filmmakers gathered in the foyer of Studio 144 to meet & network with each other, finding out more about the BFI Network and funding streams available in the South West. City Eye is grateful to John Hansard Gallery and University of Southampton for enabling these Southampton Film Week events. Alice Cabañas hosted an informal roundtable session for local filmmakers in the Production Lab of Studio 144, to tell them about the new funding streams available for short film and early development, and South West events. Later, City Eye was joined in the Screening Room by fellow Film Hub South West members and staff to talk about programming and audience development for film programmers in the region. Ronda Gowland-Pryde talking to film schoolers about the art work of Gerhard Richter on display at the John Hansard Gallery in May 2018. During School half-term and holidays, City Eye runs film workshops for young people aged 7-11 & 12-16 years. ​In 2018, during the February, Easter & May half-terms and in the Summer holidays, City Eye delivered film school in the new Production Lab at Studio 144. In total there were 7 days of film workshops for Film Schoolers of both age groups and the workshops were themed around the art exhibitions on display at the John Hansard Gallery. Visit Previous Film Schools for more information. The celebration included a performance in Guildhall Square presented by ZoieLogic Dance Theatre, fireworks, and speeches from Susan Beckett (Executive Director of City Eye), Sam Hodges (Director of NST) & Woodrow Kernonhan (Director of JHG). The party continued on Saturday 17th February 2018, with a full day of free activities for all ages across the whole of Studio 144 and saw the launch of Sampler, a week-long mix of art, music, film, performance and words - offering a flavour of what's to come when John Hansard Gallery and City Eye reopen later this year. Sampler was presented through to Saturday 24 February 2018. 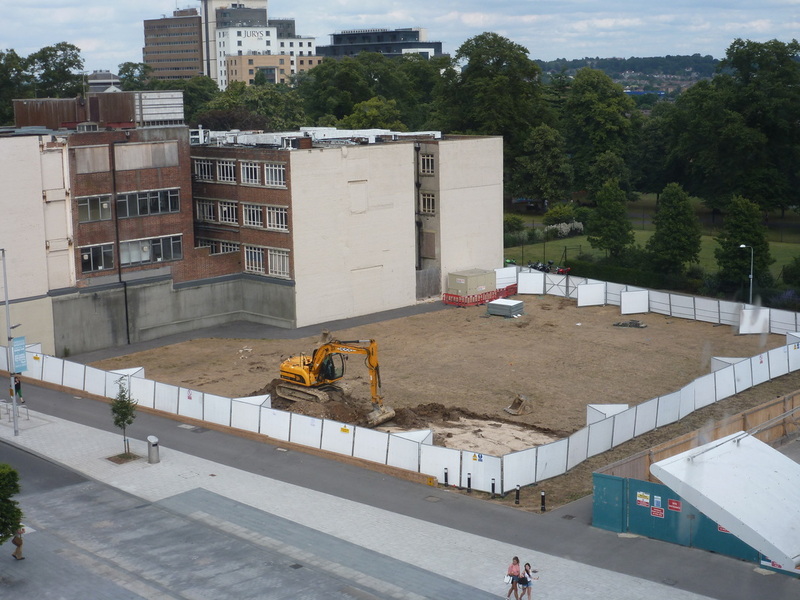 Whilst the fit-out of the arts spaces continues inside, Guildhall Walk is now clear of construction workers, plant and material to reveal the park behind Studio 144, as the arts complex has now been named. Impressively framed by the stone portico, this link between Guildhall Square and Park Walk, and across the park to East Park Terrace and Southampton Solent University, is rather more enticing than the dark tunnel which ran beneath the old Tyrrell and Green Department store. As the cafe's and bars on the ground floor spill onto the street with their tables and chairs in the spring sunshine, as more events and activities begin to take place in and around Guildhall Square and Studio 144 and as people come to enjoy the space and all that it has to offer there is a growing sense of excitement about the events and activities which will soon be found within Studio 144! We can't wait to move in! 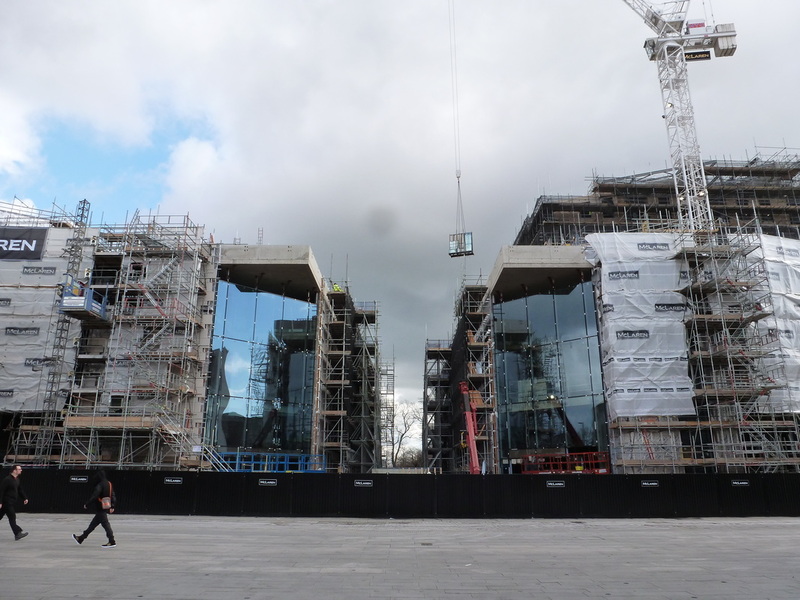 On 26 March we were very excited to attend the 'Topping-Out' celebration hosted by Grosvenor Developments and and its build contractor McLaren Construction. Following a tour of City Eye and John Hansard Gallery spaces in the South Building we joined the throng of partners and stake-holders to celebrate this project milestone. Southampton City Council Leader Simon Letts joined Richard Powell Executive Director of Grosvenor and Phil Pringle, Managing Director of McLaren in the ceremonial laying of a brick to mark the occasion. 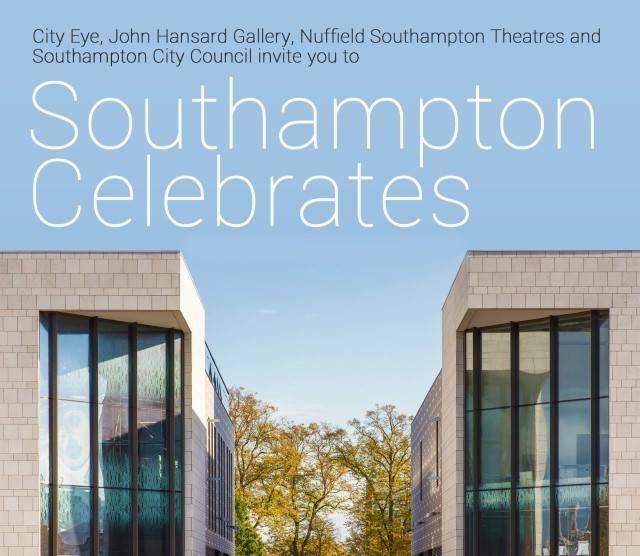 The event was followed by a reception at Southampton City Gallery where it was also announced that Nuffield will join City Eye and John Hansard Gallery as residents in the new arts complex. Nuffield, Southampton's leading producing theatre company, recently named Regional Theatre of the Year 2015 at The Stage Awards, will operate the performing arts spaces in the North Building. We are delighted to welcome Nuffield to the partnership and are very excited to be working with it and John Hansard Gallery towards opening events in 2016! Click here for Southampton City Council's web pages about the Cultural Quarter and the arts complex. As the development of the building reaches its peak the project developer, Grosvenor, has named the first restaurant that will be moving in to the new arts complex. We are delighted to have taken part in the ground-breaking events which mark the handover of the arts complex site to our developer Grosvenor and its constructor McLaren. Construction will commence on 18 November 2013 with completion of the arts facilities scheduled for spring 2016. City Eye will occupy facilities for all aspects of filmmaking with dedicated education spaces ensuring that it is able to continue its work developing filmmakers of the future and offering opportunities to up-skill for those who already have experience in the sector. Co-located with leading contemporary art gallery, The John Hansard Gallery, will enable the development of exciting collaborative digital art projects. The arts complex will also provide a home venue for City Eye's annual Southampton Film Week. Launched in 2008, this film festival is a growing celebration of films and filmmaking and incorporates a programme of screenings, workshops and masterclasses, events and activities including the SFW:YFF our own youth film festival. Southampton City Council is currently working on the development of a new contemporary arts complex, to be located within the city’s Cultural Quarter, and offering outstanding creative programmes that will inspire and enthuse audiences from across the city, the region, and beyond. As part of this exciting initiative the council is facilitating the selection of an operating company for the arts complex. The council is keen to assess the scale of interest of existing organisations in taking on the operation of the new arts complex and is seeking feedback from organisations with expertise and knowledge of arts venue management. This will inform a future decision on the appointment or development of an organisation to manage the venue. • a new centre for the performing arts with medium to small scale auditorium facilities and a dance studio, flexible education and activity spaces, and a café/bar. A stunning new arts complex which will rejuvenate arts and culture in the city has been given the green light by Southampton City Council’s planning panel. The 100,000 sq ft arts complex and new restaurant and retail space will create more than 300 direct jobs with work aiming to start on site in early 2013. 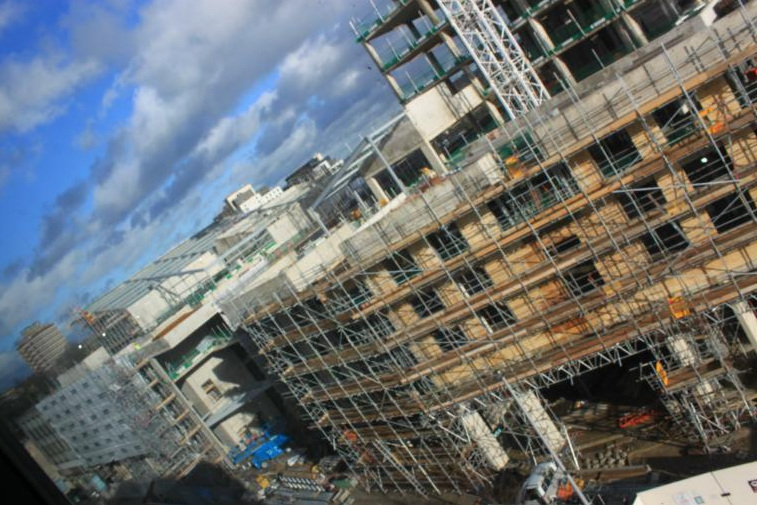 The developer, Grosvenor, signed a formal agreement with Southampton City Council in 2010 and has been working in partnership with them to develop a detailed proposal for the scheme, which will be arranged around the newly landscaped Guildhall Square. In 2010 Southampton City Council was granted £7.2m from Arts Council England for the arts complex scheme. The New Arts Complex will form a major part of a new mixed use development on the eastern side of the Cultural Quarter and fronting onto Guildhall Square. Grosvenor is a well respected leading international developer, investor and funder, with extensive experience of town centre regeneration schemes both in the UK and worldwide. It has an excellent track record of developing difficult brownfield site projects (Festival Place, Basingstoke, and Liverpool One, for example). Grosvenor’s architects, CZWG, are nationally known architects with a good track record in designing distinctive large mixed- use developments. Grosvenor has worked with architects CZWG to ensure that the scheme becomes established as the city’s flagship Cultural Quarter development. Plans include 6 restaurant units and 29 flats, in addition to the new arts complex which comprises auditoria, studio and creation space for the performing arts, a contemporary art gallery (John Hansard Gallery, University of Southampton) and film/media facilities (City Eye). The design also incorporates a striking glazed façade, a pedestrianised link to historic East Park, and soaring stepped upper floors.